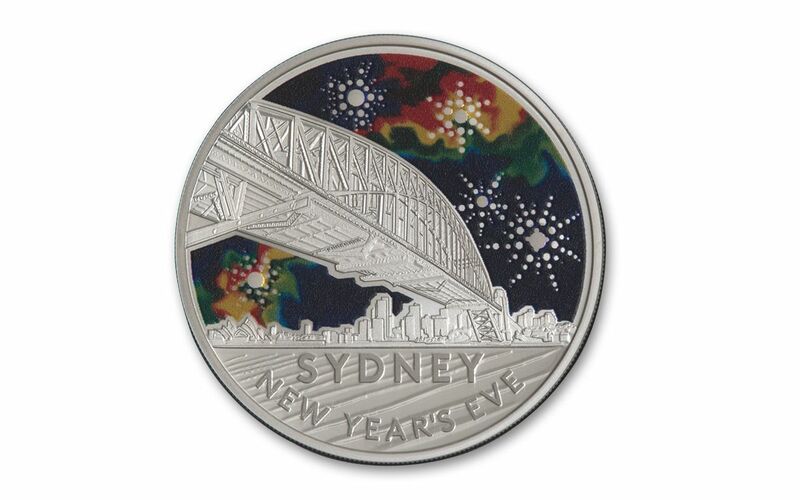 Celebrate the Arrival of 2017 with this Colorful Sydney New Year's Eve Silver Dollar! When it comes to ringing in the New Year, Times Square may have the ball, but Sydney Harbor has the fireworks! As the first major city to welcome in the New Year, the annual SydNYE celebration dazzles millions across Australia and around the world with a breathtaking pyrotechnic display. This 2017 $1 Colored Fine Silver Frosted Uncirculated Coin is a brilliantly vibrant memento of this world-famous firework spectacular. 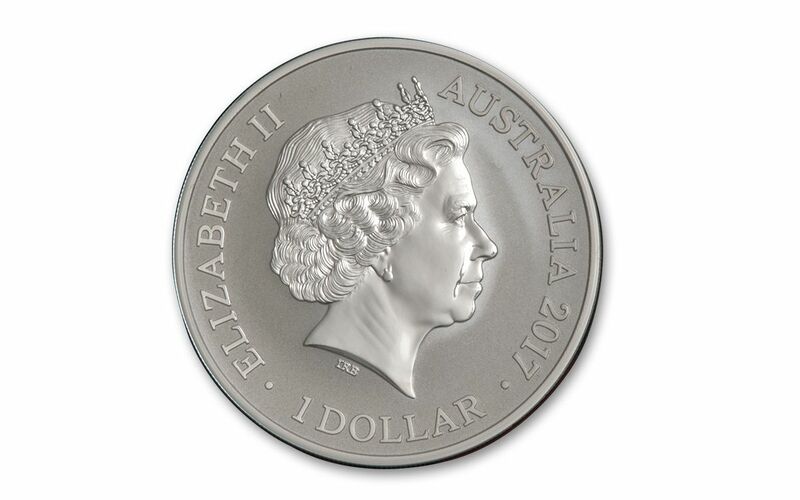 Struck by the Royal Australian Mint, this legal tender Australia silver dollar is minted in one-half ounce of pure 99.9% silver to a frosted Brilliant Uncirculated (BU) finish. 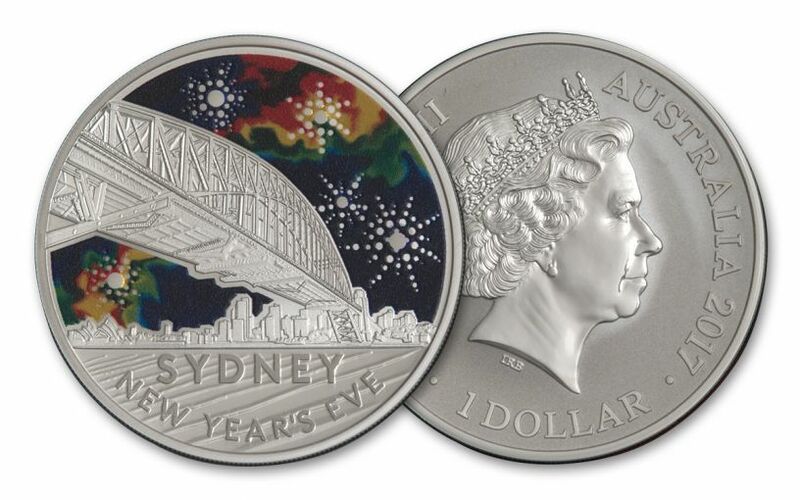 The obverse features a stately portrait of Her Majesty, Queen Elizabeth II, while the reverse displays the massive colorful fireworks display above the Sydney Harbor Bridge. 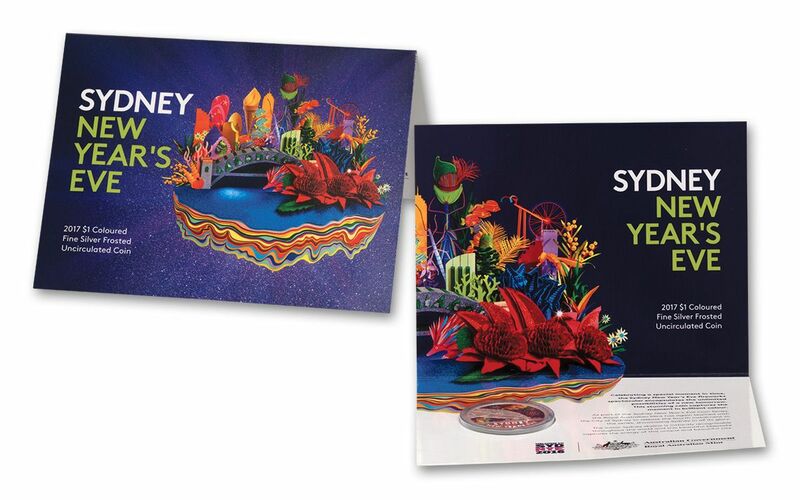 Your 2017 Sydney New Year's Eve Silver Dollar comes in a vivid presentation card that features the artwork of Sydney artist and paper engineer Benja Harney. Only 5,000 were struck, so you need to act fast to secure yours before they're gone. Don't miss out on this kaleidoscopic display -- add one to your cart now!